Vitamins & MineralsOlimp Tri-Mag B6 - 30 tabl. 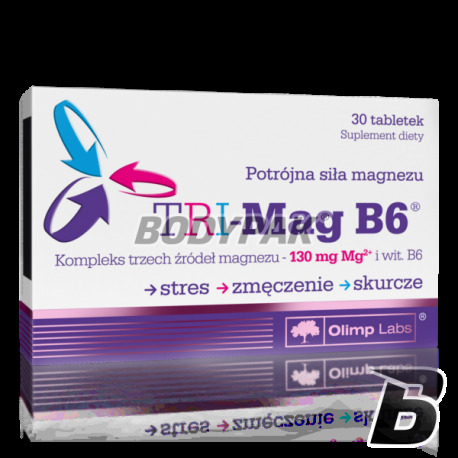 Olimp TRI-Mag B6 ™ is a dietary supplement containing up to 3 different sources of magnesium absorption kinetics, which allows optimal for our body's level of magnesium - one of the most important minerals. Additionally, the formula is enriched with vitamin B6, cooperating with magnesium in metabolic processes. 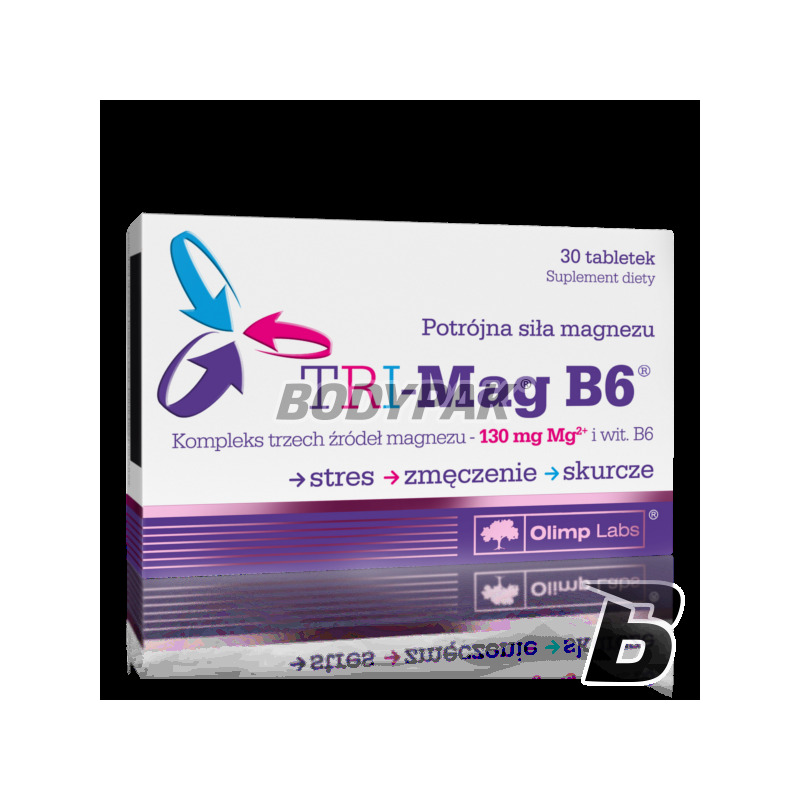 Magnesium tablets Tri Mag is a dietary supplement based on three forms of magnesium and vitamin B6. Magnesium is an essential element for the proper functioning of the body: it decides on the course of many processes in the body. In contrast, deficiency causes problems with concentration, abnormal heart rhythm, feel worse (and even depression), weakened immune system, and leg cramps. Nieduża dawka magnezu, ale za tą cene jak najbardziej opłacalne.